EC1 peptide has non-competible covaspheres binding activity suggesting multiple binding sites or polymerization. 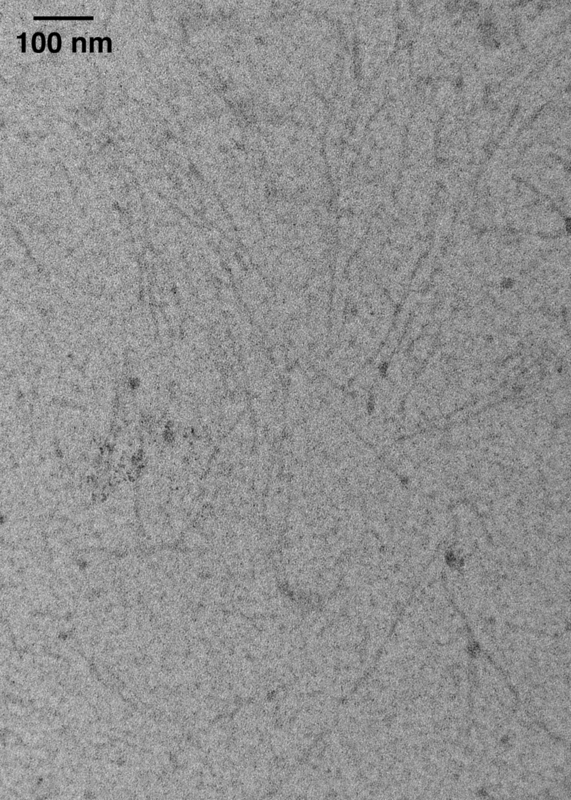 Negative staining of occludin extracellular domain 1 peptide confirms that it polymerizes to form fibrils in solution. 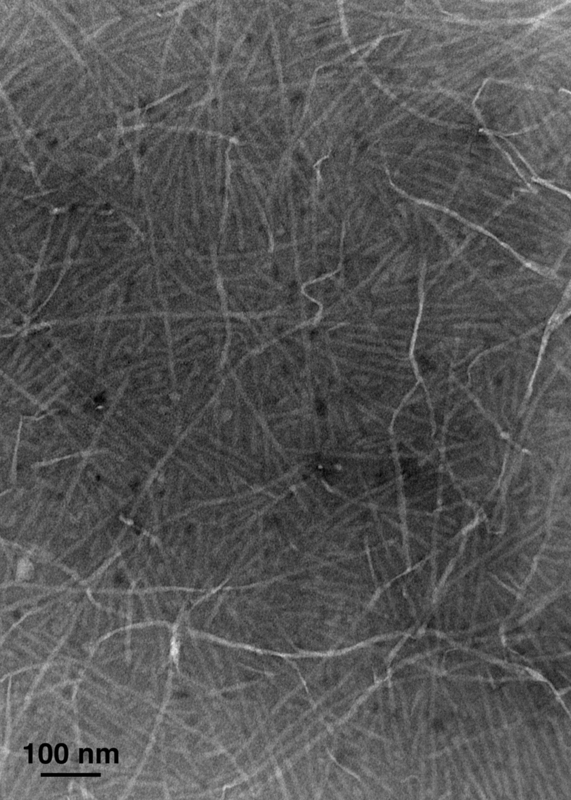 Extracellular domain 1 peptide freshly prepared as 10 mM solution (click picture to enlarge). Extracellular domain 1 peptide as 10 mM solution allowed to incubate at room temperature for 2 weeks (click picture to enlarge). 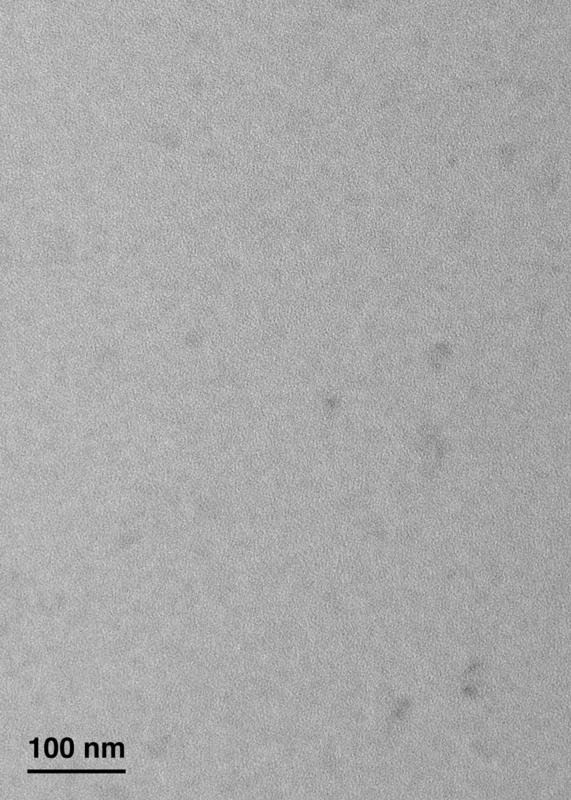 Extracellular domain 1 peptide as 10 mM solution allowed to incubate at room temperature for months (click picture to enlarge).